The Adam family tartan is traced back to as early as the 12th Century where the Scottish clan was first though to originate. Although quite popular in England in the 14thCentury, the surname Adam can be linked to a Scottish clan as far back as the late 12th Century. The first reference to Adam is thought to be a sub-prior of Melrose who then became Abbot of Cupar, Fife, just before the 13th Century. An Adam, son of Adam was also recognised as a witness to the charted by William Bruce to Adam of Carlisle in the lands of Kynemund, which we now know as Kinmount in Dumfriesshire, from 1194 to 1214. In separate instances, the surname Adam is linked to men of the clergy. For instance an Adam became an Abbott of Newbattle in 1201, whereas an Adam from Lennox was thought to be a monk of great sanctity. obligation from the burghs. These differing influences are thought to take their shape on the clan tartan. 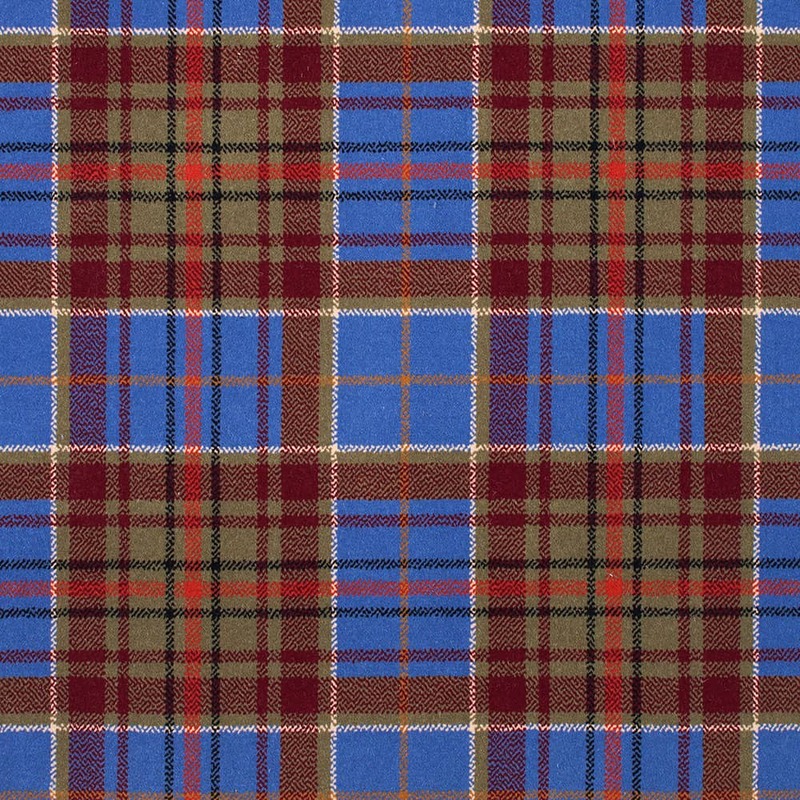 The Adam family tartan itself is a blue, red and green tartan which places thick blue checks on a green cloth. Thinner red horizontal and vertical are then criss-crossed throughout the blue and green sections making the tartan stand out and giving it a layered appearance. Although the history of the Adam clan dates back centuries, there have been a few famous Adams in more recent times. For instance Robert Adam (1728 – 1792) is widely considered to be one of the greatest architects of that period in the UK. Also William Adam (1751 – 1839) was a Scottish Member of Parliament in the British Parliament which meant he was also a judge.